But did you know that not all dark chocolate is the same? Yes, most individuals realize that you pay more for higher quality premium chocolate with a high cocoa content but did you know that the processing of the chocolate is really what matters? Most chocolate is dutched or heated to eliminate the bitter parts of the chocolate. This process unfortunately gets out many of the antioxidants which are so beneficial for our health. The key then is to find a chocolate that is cold pressed, not heated or dutched so it can retain the natural health benefits of the raw cacao. Most candy chocolate also contains waxes and fillers as well as processed sugars that lessen the health benefits and add to the calorie content. This chocolate is also diabetic friendly and gluten free offering healthy options to many. My family has been enjoying XO healthy chocolate for the last four years. The improved health benefits we have experienced by increasing our antioxidant content has been nothing short of amazing. What you eat really does matter. If you are not eating enough fruits and vegetables, XO healthy chocolate products are a great way to get the antioxidants you need. Dealing with any helth issue or crisis, most illness responds well to antioxidant therapy. 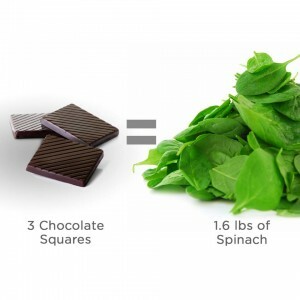 The next time you see that article about the health benefits of dark chocolate, make sure the chocolate you are putting in your mouth is the kind that is cold pressed and healthy. Try the best, enjoy XO cold pressed healthy chocolate. antioxidants. Keep yourself healthy and enjoy a treat. You deserve XO chocolates. Our new Xolove chocolate love bites, the perfect love food for couples is also available for order. All preferred customers receive free shipping on orders. In addition they qualify for free product every third month when they continue to order monthly. I recommend ordering as a preferred customer or wholesale. Wholesale promoters get paid to share this amazing chocolate. Ask me for the details! 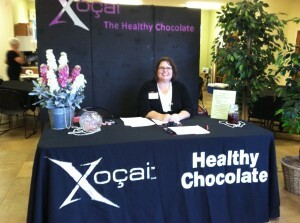 I can be reached at 941-216-5727, at [email protected] or atLiveForChocolate.com. What Is The World’s Favorite Snack?